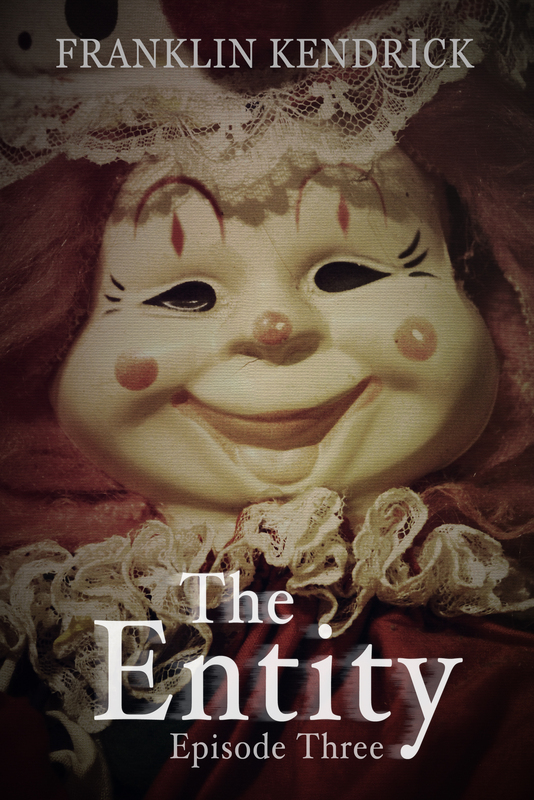 I’m very excited to say that today you can get The Entity: Episode Three on Amazon! This installment in the series took a little longer to write, and it is the longest in the series so far. If you’d like to pick up a copy, you can do so here in the US and here in the UK. For those interested in what happens in this episode, lots of ground is covered. Some questions are answered, but there are still plenty of questions that still linger, and even more mysteries become discovered. Harrison and Clarissa try to celebrate their anniversary with a night out, but their efforts are sabotaged by someone they don’t expect. While they are away, Jett invites his friend Tucker over to hang out, and Sladen discovers a terrifying clown in the corner of the spare bedroom where the previous owner was murdered. What happens? You’ll have to read on to find out! Sladen walked over to the bedroom and went inside, not bothering to turn on the light. The door was open and the tiny table with the supplies was just inside. He went to reach for the bottle when suddenly something stood out in the room, the sight of a brilliant purple color out of the corner of his eye. His mother didn’t own anything such a violent shade of synthetic purple that he could remember, so he stopped and looked over at the corner. To his great horror he saw that the purple color belonged to a wig, and that curly wig was on the head of a tall, shadowy figure. He felt like his feet were glued to the floor. Was this his eyes playing tricks on him? He squeezed them shut for a few seconds and then opened them. But, the figure was still there in the corner when he looked again. Then, before Sladen could do anything else, the figure spoke in a low, hoarse voice. Sladen’s heart was thumping so hard that he could hear his pulse in his temples. His fingers twitched. Without even realizing what he was doing, he answered the figure in the shadows. The figure tilted its head to one side. “I live here,” it replied. There was a moment of silence as the figure – Sladen had a horrible realization that it was a clown – thought about what it just heard. Then it stepped into the light. One more behind the scenes fact about the cover for this episode: The clown featured on the cover is actually one of a pair that my grandmother made for my sister and me when we were kids. Though I was never really afraid of them, my siblings are terrified of the dolls, so I had to rescue them from the basement and photograph them for the cover. My sister’s doll is the one that won out, so that is who you see on the cover.